I’m a Licensed Massage Therapist and Licensed Esthetician dedicated to sharing my passion for health and well-being with you. I am proud to be a professional bodywork. Offering ashiatsu/barefoot massage my work primarily focuses on relaxing the nervous system so that you may find your own inner peace. I believe stress is at the root of dis-ease and pain, both physical and emotional, and that healing takes place in the state of relaxation. Quality therapeutic touch is an excellent stress relieving tool and complementary to other therapies. The techniques that I use are ashiatsu/barefoot massage therapy in which I use my bare-foot to deliver the massage as it allows me to provide a deep and sustained pressure in a way that isn't painful. I do not offer "hands-on" massage do to a recent injury affecting my arm. Botanical Facials and other esthetic/skincare/spa treatments are also on the menu. I've been lucky enough to live in some of the most beautiful destination mountain towns in the country working at the best spas and I try to bring that experience into the service I provide. I have been Board Certified in Massage and Therapeutic Bodywork since 2002, Licensed Esthetician since 2012 and have extensive professional experience working in medical and spa settings. My continuing education is in Medical/Orthopedic Massage, Traditional Thai Massage, Ashiatsu Barefoot and Fijian Oil Barefoot Massage. 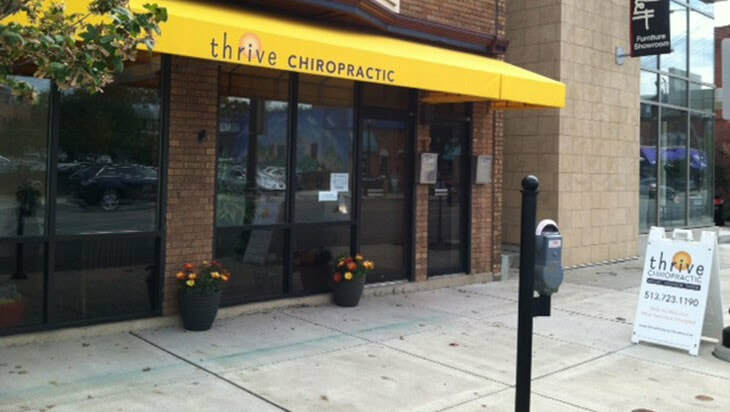 Grateful Zen offers barefoot ashiatsu/barefoot massage and botanical facials located at Thrive Chiropractic in the heart of Oakley, Cincinnati. Parking is available in the parking lot located directly across the street on Madison Rd. between Quince and Quinn and Deeper Roots Coffee.